The leading global supplier of weighing and dimensioning equipment, Mettler Toledo, has developed Cubetape to suit small to medium freight forwarding companies looking to include dimensioning in their procedures without investing in larger, more costly technology. Cubetape is a compact, durable, hand held device that uses an in-built scanner to read a parcel‘s barcode data, and a three metre waterproof, tearproof tape to capture the dimensions. This information can then be stored for later use or sent onto a host application via bluetooth. Due to the automatic nature of the device, manual errors are eliminated making the entire process, from weighing through to dimensioning more accurate. The simple design of Cubetape requires little operator training and maintenance. 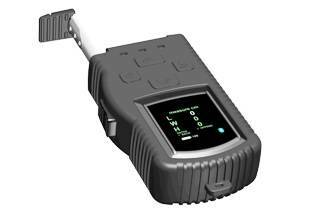 The device provides audible feedback throughout the data capturing process ensuring the operator is coached through each stage, assisting to prevent errors and maximising uptime. Cubetape can be integrated with the most common transport and logistics applications such as PCs, mobile PDA devices, scales and printers, allowing companies to start using the device straight away.